Signed, lined with a quote and dated by the author. 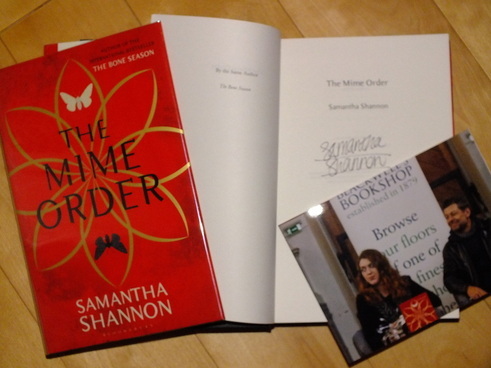 Accompanied by a copy of the signing event ticket. 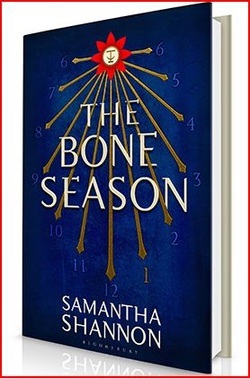 Synopsis : The Bone Season is the first book in a seven-part series of dizzying imagination. Welcome to Scion, no safer place. It is raining the day her life changes for ever. Attacked, kidnapped and drugged, Paige is transported to Oxford – a city kept secret for two hundred years, controlled by a powerful, otherworldly race. Paige is assigned to Warden, a Rephaite creature with dark honey skin and heavy-lidded yellow eyes. He is her master. Her trainer. Her natural enemy. But if Paige wants to regain her freedom she must allow herself to be nurtured in this prison where she is meant to die.